Submitting your writing for consideration on websites is not usually a high interaction activity, however, it still calls for a certain etiquette. While not always necessary in getting your writing accepted, blog submission etiquette goes a long way with editors, and could definitely earn you some brownie points with certain publications! I have found that following these 7 simple rules has helped me keep my elbows off the table when submitting my work and even earned me a gold star a few times. You should be visiting the site(s) you are most interested in frequently. This helps give you an idea of the types of writing they tend to publish before you submit anything. Reading comments and checking out social media share stats in the post headers can give you an idea of what types of posts have the most success on a given site. As you are visiting, be sure to let them know you were there by commenting on posts you like. Reading and commenting on one post per day on a site you are targeting for submission, only takes about 5 minutes in most cases, and can go a long way with editors. You may not think this is the case for larger sites, but while the head honcho may not see your comment, the section editor will. Leslie Marinelli (Editor In Chief for In The Powder Room) summed it up best when she said ‘Buy me dinner before you stick your tongue down my throat!’. When preparing to submit a post for consideration, you should be sure you are following the site you are submitting to on social media. This doesn’t mean you have to follow them 10 different ways or join new social media platforms you are not on just to follow them, but you should follow them on at least the sites you frequent. Who doesn’t love a new subscriber. 99 if not 100% of the sites you consider submitting to will have a newsletter you can sign up for. Sign up for it. 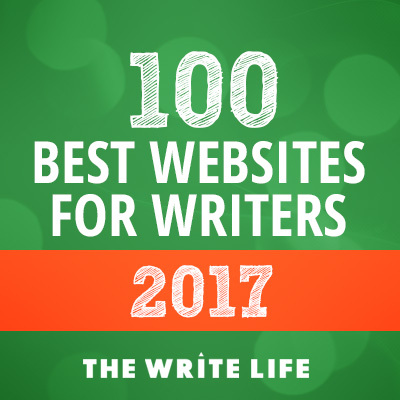 This will keep you in the loop, help you learn more about the best fit writing for that site, and may even provide submission opportunities and updates in some cases. 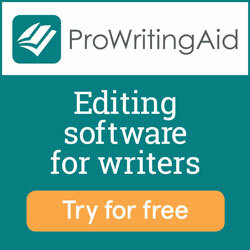 You always knew that sharing was good manners in daily life, and that goes for submitting writing too. If your writing is accepted, the site will most likely promote your writing/post via social media (often to a wider audience than your own) and/or their newsletter. Doing your part to share posts you find on their site is very important and just good manners. I remember thinking that sharing to my tiny audience didn’t mean much at the beginning, but these sites are looking to expand their readership too, so sharing content is always important. Be sure to tag the site and author in your share for extra brownie points :o). All of them. I know it isn’t the most compelling stuff, but read the submission guidelines. Please. Please. Please. If the guidelines tell you to include your email and bio in the body of your post, do it. If the guidelines tell you to email everything in a Word document formatted a certain way, do it. If the guidelines ask you to use all caps and Wingdings font, do it! I had an editor accept a submission from me once and specifically comment on how I had followed all of the instructions, which was apparently rare. You will also see guidelines around whether they publish original vs. existing work, specific subject matter they are interested in etc. Follow directions. I have been guilty of submitting writing to a site because I thought it was good and it was a site I aspired to be on, even though I knew it wasn’t the best content fit for the site. Don’t do it. They want to feel like you know their site and are submitting thoughtfully. Once you have been hanging around their site, following them on social media, and reading their newsletter, you will have a good idea of the type of writing they are looking for. Tailor your submission accordingly. If you are dying to get published on a site and have a great piece that is just not a good fit, check out other places to submit it and wait for a better fit piece for that site. If your submission is not accepted (or you never hear back), don’t take it personally. If they send you specific feedback about why it was not a good fit, jump for joy and use it to improve the next time. If they reject it with no reason given, you can always do some editing and resubmit or submit it to a different site, or publish it on your own site. No one gets accepted every time (and if they do, we don’t like them very much :o). My rule of thumb when first submitting my work to various sites, was to focus on one site at a time for several weeks before submitting my first piece for consideration, since following these tips does take a little time and effort. Questions about submission etiquette? Leave us a comment or question about minding your blogger Ps and Qs in the comments.